Take this 4-day biking tour to appreciate the beautiful scenery in Yangshuo, along Yulong River and around countryside area. Li River cruise and Impression Sanjie Liu are included. Take a flight from Kunming to Guilin by yourself. Upon your arrival, our local guide will pick you up at the airport and transfer you to the hotel. 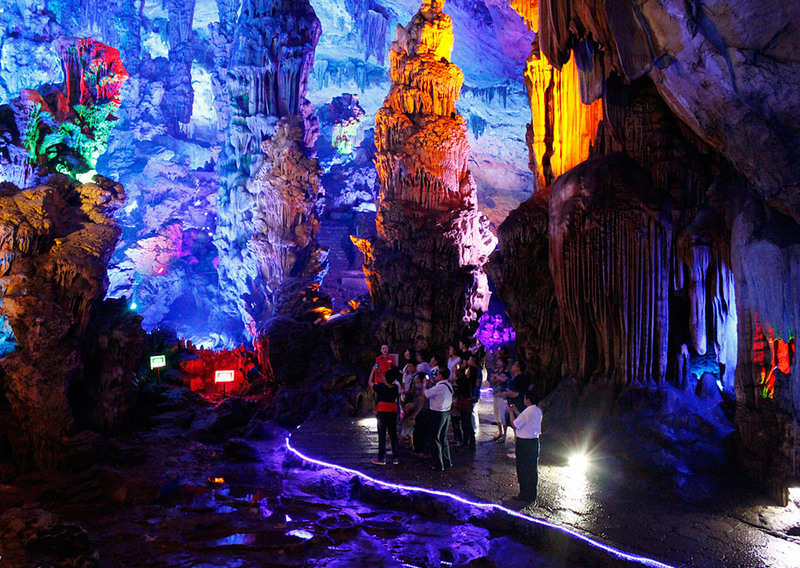 Then drive to visit the highlights in Guilin – Reed Flute Cave, West Hill and Elephant Trunk Hill. Reed Flute Cave is a brilliant cave marked on almost all travel itineraries. Elephant Trunk Hill is the symbol of Guilin and West Hill is one of the most famous hills in Guilin, but it is always non-touristy and not like the other crowded scenic spots in the town. Lunch is in a good local restaurant where you will have a good chance to try Guilin cuisine. Return to your hotel in late afternoon. Check out your hotel and meet your guide in the hotel lobby in the morning. 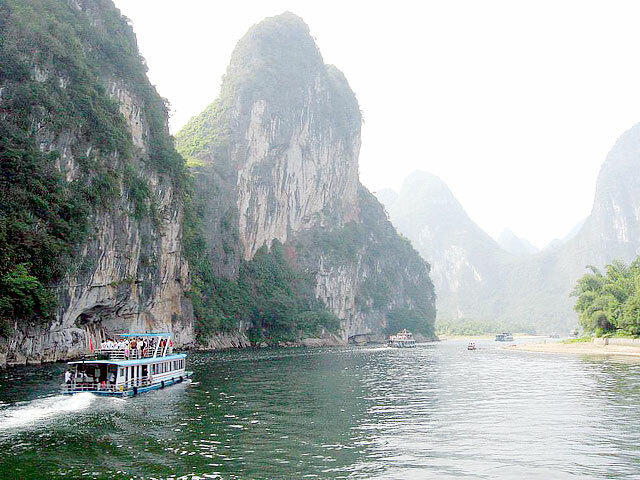 Then drive to Zhujiang Pier for a 4-hour' cruise on Li River - the highlight of your Guilin tour with lunch aboard. You will enjoy the beautiful mountains, verdant fields, farms and villages with water buffalos, cows wondering around on both sides of the river bank. Get off at Yangshuo - famous for its spectacular and picturesque countryside. 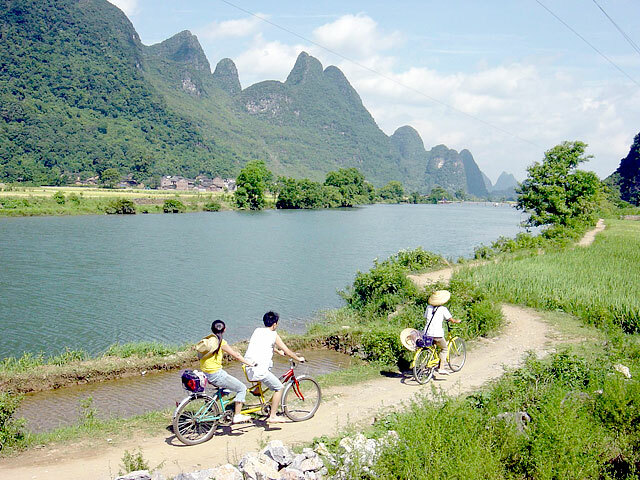 After check in your Yangshuo hotel, cycle to Yulong River with your guide for its breathtaking scenery. Then back to your hotel in Yangshuo. After breakfast, cycle to the countryside for its breathtaking scenery and Chinese agriculture with your guide. This is also a very good chance for you to go close to Chinese farmers’ daily life. Along the whole biking path in the countryside, you’ll see different crops, some villages and water buffaloes with amazing scenery surround. Then to the Moon Hill which has about 890 steps from the foot to the top. Have your lunch on the riverside. Back to your hotel in the afternoon and relax. 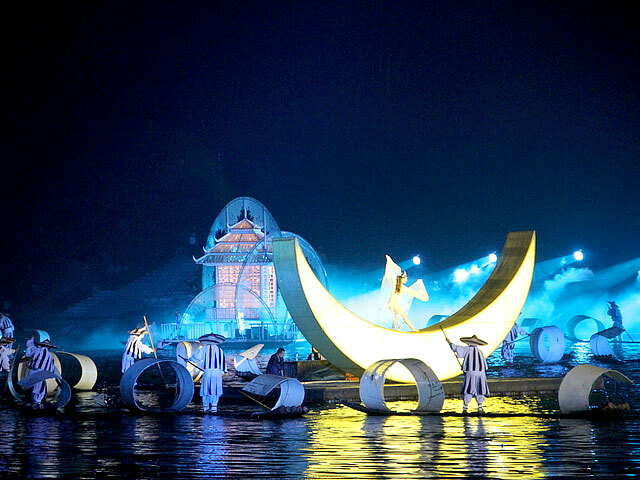 In the evening, enjoy the fantastic light show of Impression Sanjie Liu – directed by the famous movie director Zhang Yimo who is the same director for the Opening Ceremony of 2008 Olympics. Stay overnight in Yangshuo. 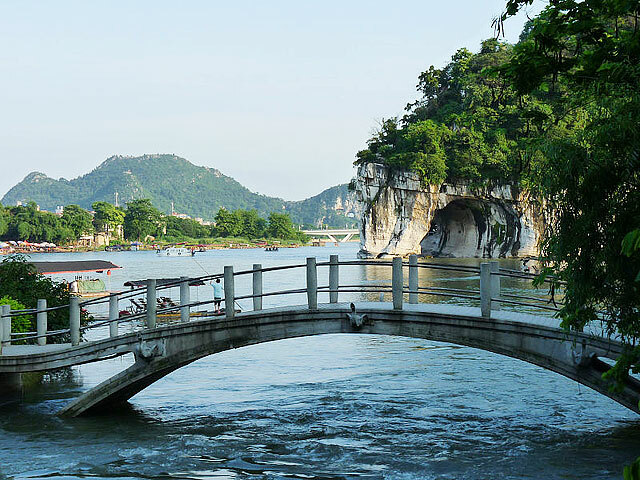 After breakfast, transfer to Guilin Airport or Guilin Train Station for departure. End of service. 1. For this tour, comfortable walking shoes are recommended. And the sightseeing time arrangement on the 1st and 5th day would be adjusted according to your flight or train arrival and departure time. 2. 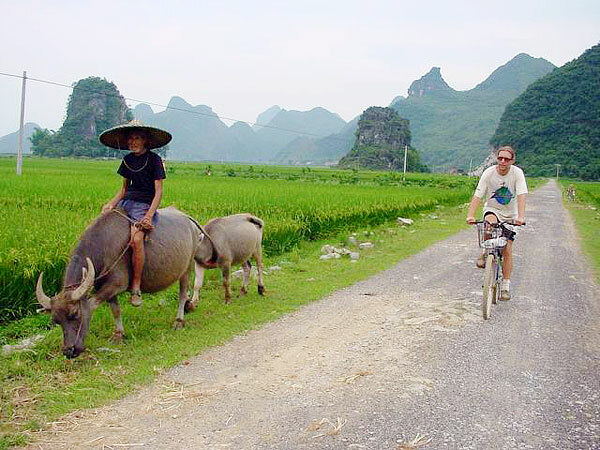 The two biking routes in Yangshuo are different. But these two routes are easy to bike. It is always flat. You need to ride the bike on the main road for a while, and then ride the bike on the path in the countryside.